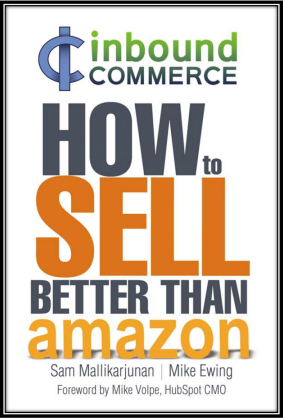 It’s a well-known fact that Amazon is a beast within the eCommerce world. But before we delve into that let’s take a closer look into the world of eCommerce for those unfamiliar with it. Typically an eCommerce site will have a conversion rate of anywhere from 1-5%. For those of you who don’t know, a ‘conversion’ is an action that is taken on a site. The most popular conversion rate (and usually the most important for merchants) is the conversion rate for sales. Which is a ratio that measures the amount of people (traffic) who come to a site versus the amount who actually buy (convert, checkout). However, other conversions that merchants might want to measure include newsletter signups, number of downloads, blog subscriptions etc. When someone visits your site they are usually fairly well targeted or qualified. What does this mean? Well, let’s say I’m in the market for a new waffle maker, I’m going to search for that in Google, and most likely end up on a home and housewares site that sells waffle makers. I should hopefully not end up on a site that just sells barbeques. So if traffic is self-selecting and well qualified why are conversion rates on eCommerce sites generally so low (ie. 1-5%)? Well, the majority of your traffic is just not ready to buy yet! Customers spend a lot of time in a non-price sensitive phase of their buying cycle, meaning they’re just looking for information to help aid in their purchase decision. Really, what they’re looking for are secondary sources of information to help push them into converting on your site. It’s important to remember that not all customers are price-sensitive, meaning, not all of your customers are going to be persuaded to buy with discount and monetary offers. Buyers are also not persuaded by advertising alone. Consumers are smart; they know how to seek information and research their potential purchases before taking the jump to actually buy. So marketers have to adapt, and find new and better ways to market to their target market. What I’m aiming to show you here is that it is possible to compete in eCommerce without focusing primarily on price to drive conversions. But if you’re not focusing on price, then “how does one compete” you might ask? With Inbound Marketing of course! The basis of Inbound Marketing is all about adding value for your customers, and not just selling them products. It’s about helping your target market find solutions to their problems on the web. The execution of a well thought out inbound marketing strategy presents solutions to your consumer’s problems in the form of helpful and engaging content, which actually enables your business to bring in more qualified leads to your site! This content not only increases your credibility and legitimacy within your industry, but it also gives customers the information they need to become more knowledgeable, productive and successful in their buying decisions! So remember that scary number above? $97,680.10. Let’s talk about that in more detail. As I mentioned earlier, it’s not a surprise that Amazon is a beast in the eCommerce world. Some people think it’s impossible or even a lost cause to try and compete with Amazon. When it comes to their long tail inventory, yes, it is virtually impossible. For those of you unfamiliar with the term ‘long tail inventory’ it refers to the amount of inventory that an eCommerce store can carry and offer as opposed to a conventional brick and mortar store*. Amazon’s long tail inventory strategy enables them to capitalize on their immense level of specific product offerings that appeal to a vast number of online shoppers. However, Amazon’s main strength also comes with its greatest weakness: its long tail is SO massive, that it’s been unable to effectively address the higher phases of the buying cycle where education aids consumers researching and evaluating their options*. Essentially Amazon relies on a low price value proposition, which has resulted in their inability to define specific buyer personas, and give any long-term value to its consumers. Merchants can take advantage of this weakness with effective inbound marketing strategies to develop useful content for their customers. This allows merchants to be competitive in eCommerce without focusing primarily on price to drive traffic and conversions, helping to level the playfield! According to Hubspot, Inbound Marketing costs 61% less per lead* than traditional outbound marketing. This is because Inbound utilizes cost effective tactics such as blogs, eBooks, whitepapers, webinars, and video blogs alongside effective social media channels. These tactics and channels help to produce leads and can even generate more revenue than traditional outbound marketing techniques. Inbound Marketing techniques are self-sustaining, where content can be re-used and repurposed, as opposed to intrusive marketing measures like cold calling or traditional advertisements. Inbound Marketing also has the unique advantage of being easily shared throughout the web, especially when companies have large social media followings. Finally great marketing content also translates into better SEO for your website, which makes it easier for customers to find you! One of the greatest benefits about living in this digital age is that we, as consumers, are very much in control of what information we receive on a daily basis and how. This is especially true for Canadian consumers. As a nation, we spend more time online than any other country on the planet - 45.3 hours a month, per person*! 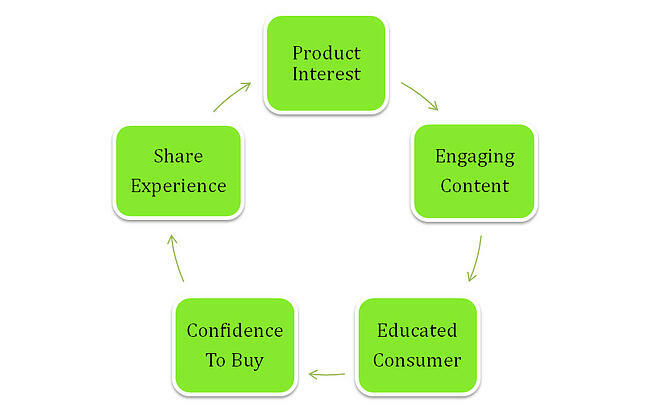 Much of this time is spent researching and evaluating products/services we’re interested in buying. Recent data has shown that we end up discussing those products/services, and the companies that sell them, about 90 times a week*. These conversations must influence the way companies approach their marketing efforts. It’s important to prioritize content creation to satisfy this information hungry segment of the population. Social media has changed the way we interact with one another. It has also changed the way businesses interact with their customers. Businesses were once limited geographically, to the amount of customers they could attract. But with the advent of the Internet and the many social media channels that followed, it now allows even the most niche retailers the ability to connect with the right customer no matter where in the world they are located! Social media is especially important for Inbound marketers because it provides the right avenues to effectively promote their content. Allowing businesses to specifically target, engage and interact with the most niche customer! ROI in eCommerce tends to be always focused on product sales but businesses also need to consider the reduced need of support agents. This decreased need can eventually translate into decreased capital costs for your business. With your content helping to address the many questions consumers have, you might find support agents (ie. 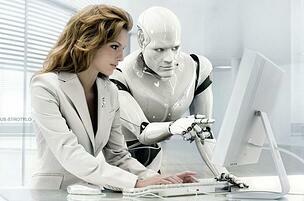 Customer service representatives on the phone, email etc) aren’t going to be needed as often. By setting up something as simple as a FAQ page, it’s helping to answer key questions customers might have about shipping, return policies, sizing, payment options etc. This relates back nicely to point #5 above, educated consumers are confident consumers, which means there’s a higher probability that those customers will check out on your site. This theory comes from storefront window displays for regular brick and mortar stores, which provide merchants with the opportunity to showcase their best products – or when speaking in the digital space - their high quality content. The more content you have on display, the more convincing it becomes to walk through the door*! In other words, content marketing helps to increase the overall attention to your website, thus helping to retain more customers and increase their frequency of purchase. One of the greatest elements of eCommerce and Inbound Marketing is that it’s all measurable! With tools with Google Analytics, Hubspot, Moz, Marketo, and Eloqua (just to name a few), marketers can see the impact, success, or failure, of their marketing campaigns. Tracking accurate measurements helps to justify the amount of budget, time and resources spent on developing content. This can be contrasted to older forms of outbound marketing, such as billboard ads, TV campaigns etc. – where the number of impressions or the size of an audience reached, can really only be estimated. Inbound Marketers can take it one step further by taking the data from their online store and evaluate it against the data from their Inbound marketing campaigns to see what is working, what customers like (and don’t like), and try to discover any new opportunities for content creation. Check back to the blog later in the week for Part 2 of Katie's guest post series entitled "How to Win in eCommerce: 7 Actionable strategies". In the meantime, what do you think? Have you used Inbound Marketing for your eCommerce business? 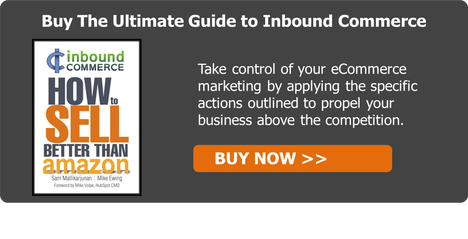 Do you have eCommerce clients that could take advantage of Inbound? We'd love to hear your thoughts.